Can you only write about what you know? Who gives us the right to an opinion? However informed we are (there’s quite a range of knowledge levels on the spectrum from no prior awareness at all to “I’ve got a PhD and written several books on the subject”), we are entitled to our individual opinions. One can always claim to be an authority on one’s own views. But it’s easy to get into dodgy territory if or when you’re claiming to know enough about any particular subject to advise other people on its merits. That is why this review brought up some conflicting thoughts for me. I had requested tickets for the show, knowing it was important for Bachtrack to cover the entire Flamenco Festival at Sadler’s Wells in March, but also knowing I wasn’t really qualified to write about Flamenco with any authority. But there was no-one else available. I’d watched a few videos of well-known Flamencas (female Flamenco dancers), had read/edited articles on Flamenco and had guts enough to interview Eva Yerbabuana… But beyond childhood memories of watching my Mum put on her Flamenco shoes (her only high heels) and rehearse in a park pavillion, I had never seen a live performance before. So I had to work out a way to present my views on an art form I knew little about. 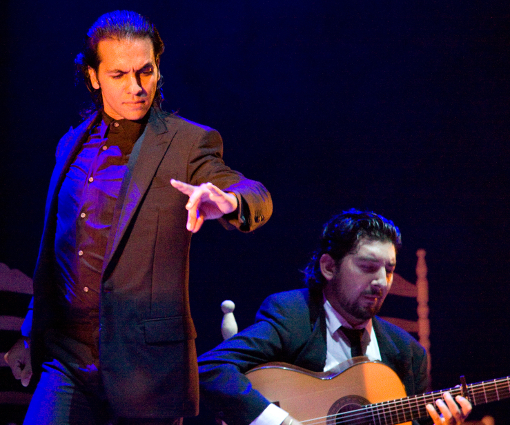 I can completely understand that professional flamenco dancers from Andalusian origins may struggle to comprehend how people from other countries can approach the art form that they have essentially been born into – particularly if those non Spanish-speaking people are attempting to become professional flamenco dancers. Nonetheless, I find myself approaching the issue from a different perspective: As a non Spanish-speaker with very little knowledge and no experience of flamenco, how can I presume to be able to write about it? Yet I soon forgot the matter of experience as I was consumed by the performance and simply enjoyed every minute of Improvisao. Previous PostOne of those days…Next PostCreative chaos: madness or inspiration?